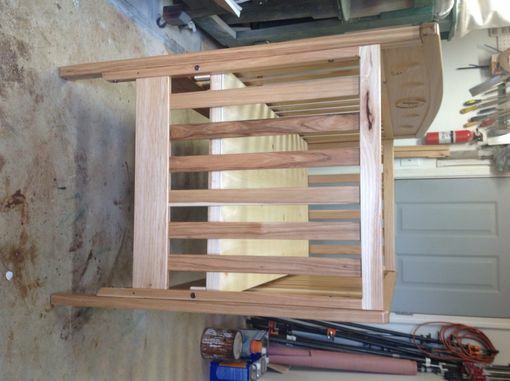 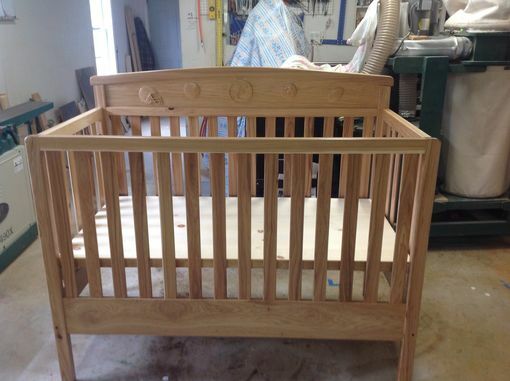 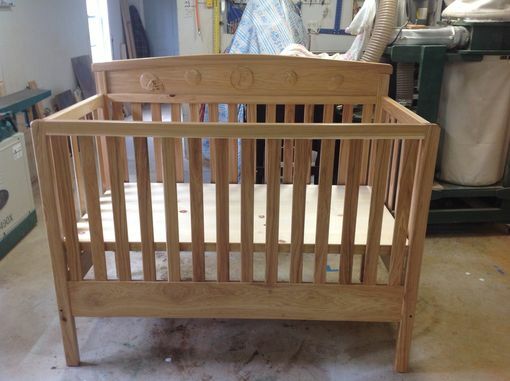 This is a beautiful crib made from Hickory. 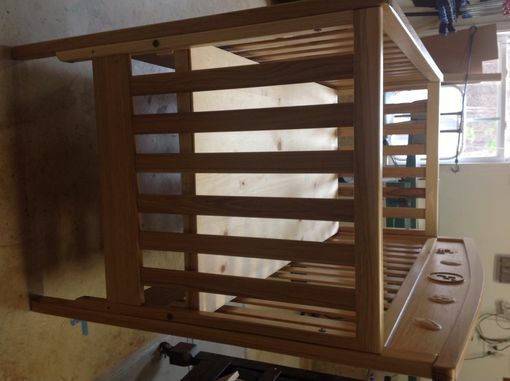 Crib has 2 height level adjustments and when your child is ready to transition to a regular bed the sides can be removed and rails added to make a full size bed. 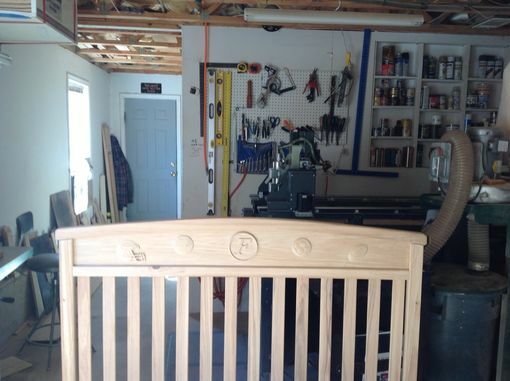 Headboard can be customized to your specifications. 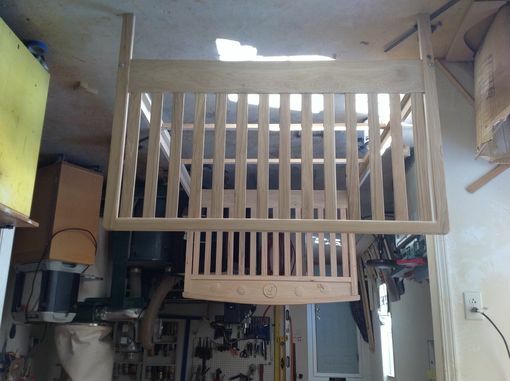 Different woods are always an option.